Security, precision and simplicity were the calls to brief here. 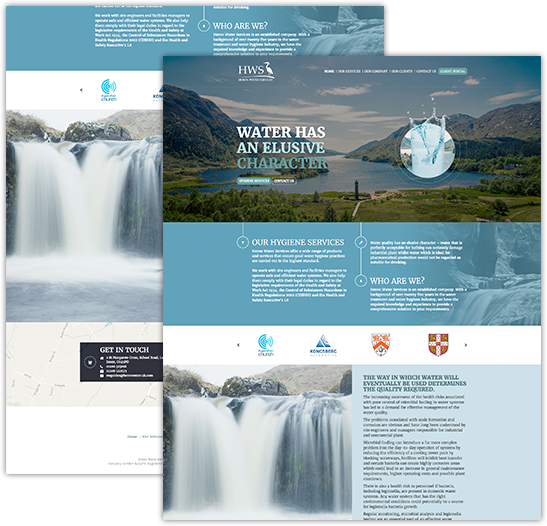 It was particularly important for the client that all aspects of the website worked on mobile devices, as they would be uploading data whilst on location. 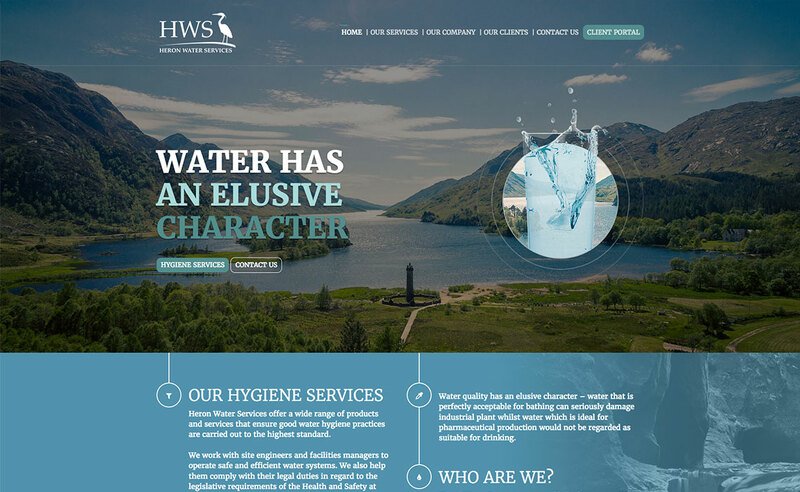 The company is responsible for checking levels in water for various bugs, legionella, etc. and reporting back to their clients. Heron wanted to streamline the process to allow clients to access the information as soon as possible as well as providing on-line communication between company and client alike. 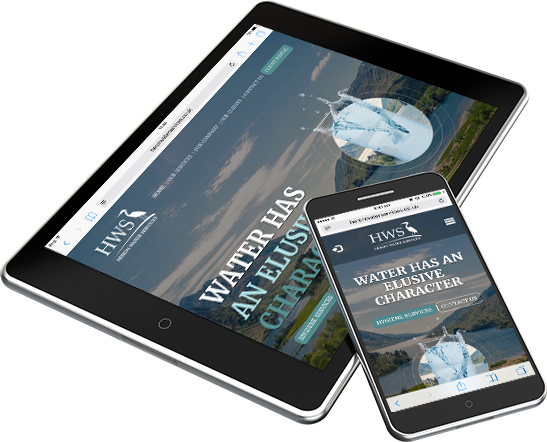 It was particularly important for the client that all aspects of the website worked on mobile devices, as they would be uploading data whilst on location. 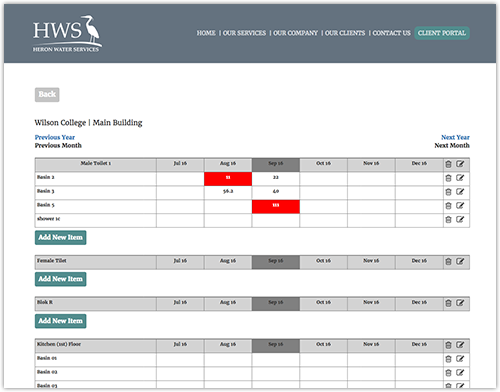 As well as a business website informing potential new customers of the company’s expertise, the secure log-in for both the client and administrator needed to allow real-time access to the administrative process of data attributed to the company findings on site visits, whilst also allowing data to be extracted in spreadsheets. Heron would visit the site, take readings and report these digitally to a live database. These findings were then noted to the tables created in the secure tables created in the administrator part of the site. Heron is able to create client access to view the data, flag areas of concern and initiate dialogue for these to be dealt with. In turn the clients are able to respond to these quires and action the areas of concern making the whole process streamlined, without the need for email. 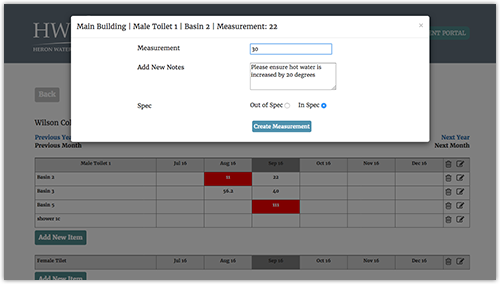 Heron is able to create client access to view the data, flag areas of concern and initiate dialogue for these to be dealt with.